Apple has announced its best ever quarter year financial results this week, only days before the Cupertino-based tech giant is set to unveil its new tablet computer. Continuing strong demand for the iPhone in the run up to the busy Christmas holidays has pushed Apple's profits higher than ever before. 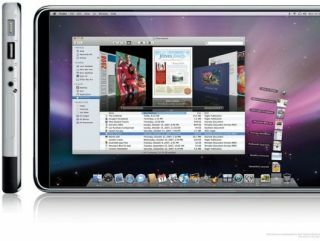 Apple's revenues for the three months through to December 2009 were up to $15.68bn (£9.7bn), a 32 per cent increase on the same quarter in 2008, with profits up by 49 per cent over the same year. Apple sold over 8.7 million iPhones worldwide in the three month period, over twice the amount sold in the last quarter of 2008, following the decision to open up the handset to different mobile networks – which was part and parcel of the decision to end the exclusivity deal that was in place with O2 in the UK. The company also sold 3.36 million computers over the same period. The only (unsurprising news) was that sales of the Apple iPod were down 8 per cent year-on-year. An ebullient Steve Jobs said: "The new products we are planning to release this year are very strong, starting this week with a major new product that we're really excited about." And that, of course, is the soon-to-be unveiled iPad, iBook, iSlate or whatever it ends up being called.